As you’re preparing for your standardized tests—whether it’s the ACT, SAT, or something else—do you ever wonder: what do other high school students do to get ready? Well, you don’t have to wonder any more. Below you’ll find personal test prep stories from real high school students. They share their experiences taking standardized tests, the tools they used, and their top tips for success. PS We’ll keep adding to this as we get more real student stories and advice too! If you’re a high school student and you want to make your standardized admission testing experience a little better, take it from me: don’t take the test more times than you have to. How do I know? I took the ACT 10 times—10 TIMES—which is way more than I should have. Around my last couple of tests, I realized that I wasn’t preparing for the ACT well enough, and if I were smarter about my test prep, the fewer Saturdays I would have to give up. That meant I needed to find the best ACT test preparation materials on the market. I decided to take an ACT prep course with a local instructor. The class had about six other people in it, and we all received a workbook with five practice tests in it (the one provided by the ACT company). We were all assigned questions, and we would discuss the answers the next week. The instructor would spend time on topics I had mastered but other students in the class were struggling with. I feel that if I had a one-on-one class or tutor, I would have done better. Improving test scores requires an individual approach, and I feel like the class offered too little personal attention. Although the class was not as helpful as I had hoped, I still had the ACT book my instructor distributed, filled with ACT examples and answer explanations. It still took quite a bit of willpower to sit down and take the practice tests, but I feel that this book was the best test prep out there. Similar test prep books exist for most standardized college admission tests, including the SAT. Although taking the practice tests in these books may require more time and concentration than other prep options, I think they offer you important training for the real tests. And because you have explanations at your fingertips for any questions you get wrong, you get a kind of individualized problem solving necessary for successful test prep. After I took a practice ACT test, I could go online and search for subjects I got wrong to get help tailored to my needs. When I didn’t really understand how to work through a certain problem, I used YouTube or Khan Academy to find the concept and develop a good grasp of it. I would only take one test section a day, but I would make sure to time myself to ensure I could finish the section when I took the real test. After taking so many practice tests, I became completely desensitized to the stress of the time, which was what I think I needed most to reach my best score. Along with this big tome of tests, I used a small book called the Crash Course for the ACT by The Princeton Review. This book offers plenty of tips and tricks that could possibly shave off some of the time it takes to answer a question. Although it is important to understand the concepts being tested on the ACT and SAT, it is also vital to know how you can strategize and use the format of the test to your advantage. Books were the best option for me; however, many online resources exist that may help students as well. My counselor recommended a site to me called March2Success. This site was created by the US military and offers free full-length ACT and SAT tests, as well as study games and flashcards. I have used the flashcards but none of the other services this site offers. But many of my friends have used it with great results. Of course, even though the Web is filled with good test prep sources, it has just as many bad ones. My rule with online test prep is that you shouldn’t have to pay for it. Many college test sites require you to pay for their services and make claims that sound almost absurd—like secret tricks you can use to get a perfect score. The only “trick” you can use to get a good score on a standardized test is practice. No amount of money can change that, and you can get the practice you need for free. The discipline you need to bring yourself. After my whole standardized testing experience, I did achieve my goal of a 32 on the ACT, but only after I realized I had to practice and learn the ins and outs of the test. I recommend you do the same. Since my sophomore year in high school, I have taken the PSAT and three ACT tests. I take all of these tests so I can use them in my scholarship search and, in the near future, college applications. These tests can be tiresome, but they are important, and the right preparation can be extremely beneficial. In preparation for my standardized tests, I talked to my teachers about the things I really needed to remember. Once I got help, I went through my notes and reread the most important information. Talking to my teachers and using my notes has been one of the best ways for me to study, because I do not have to go searching for the help. No matter what test I took, I always focused on my weak points. While taking the PSAT or ACT tests, I had to try harder at math. I always scored well in English, but my math needed work. Prior to testing day, if I was particularly worried about a certain concept, I made sure I studied more of it. However, I did not forget about the other subjects and made time for them as well! While preparing for my standardized tests, I also made sure I was in the right mental state. I wanted to be confident in what I was doing and the knowledge that I would do well. No matter what test you’re going into, it’s important to have confidence. Taking practice tests can really help you develop that too! Lastly, my top tip for anyone taking standardized admission tests it to take them more than once if you can. My first time taking the ACT, I was nervous and felt I would not have enough time for each section. After that first test, I realized it was not as bad as I thought it would be, and I had enough time in every section. For most students, their scores go up when they take the test (with the ACT, for example, 57% of 2015 test takers saw their overall score go up when they retook the test). Better yet, colleges typically consider your best score, even if you do worse on a retake. In conclusion, I recommend talking to your teachers and using your notes to prepare for your college admission tests. They are great resources you should take advantage of! Paying close attention to subjects you aren’t great at is important too, as long as you balance your time with subjects you do well in. Finally, you should try to build up your confidence in what you are doing as much as you can. Taking standardized tests more than once might improve your score, while making you feel more confident in your test-taking skills. Whatever tests you take, always work hard on preparing for them. I hope some of these tips help! If there’s one aspect of high school that threatens the formation of beads of perspiration on our foreheads, it’s the SAT. It’s an integral yet stressful part of our lives, especially when we hear about students getting perfect or near-perfect scores (something I encounter frequently at an international school brimming with overachievers). This exam can play a pivotal role in your last two years of high school, especially when you’re applying to colleges. Because colleges often use the SAT to analyze and assess your academic progress and capabilities, it is important to work hard and smart in your preparation. However, the beginning stages of preparing for the SAT are rife with procrastination and frustration. It’s challenging to pick a good studying starting point. As I near taking my first SAT, I have had a lot of time to reflect on these initial stages of test preparation. I have experienced a mélange of emotions that virtually any high school student can relate to: procrastination, irritation, anxiety, and nervousness. It’s taken me quite a few months of preparation to feel confident about the SAT. In my case, I needed a lot of practice with mathematics in particular. How you begin your SAT preparation will vary depending on your lifestyle and schedule, but what I picked up along the way can really help combat the initial stages of test-prep procrastination and misinformation that we all face. I believe the following approach ensures less stress, fewer excuses—and no panic attacks. I used to hear a lot about the SAT from my fellow students—their thoughts on everything from its validity and significance to the overall style and content of the test. However, I soon realized I was absorbing conflicting information, either because my peers were also unsure or because they were consulting different SAT-prep sources for guidance. Thankfully, a lot of my stress began to abate when I came to understand the SAT better simply by learning more about it from various credible and reputed test-prep resources. Do your research so that you are well informed and feel more at ease with the SAT or any upcoming exam. Once you understand the structure of the test, you will feel a lot more confident and motivated to put your best foot forward. The dissipation of anxiety also makes it easier to avoid procrastinating. You also need to sift through all the potential topics, skills, and concepts that could be on the SAT. I did this by reviewing past academic papers and consulting sources like Kaplan practice books, and free sites like Khan Academy and College Board. Never hesitate to buy practice test books, as they contain valuable sample exams and are packed with information, tips, and explanations of the questions. If you’re concerned about costs, you may be able to get cheaper versions of older test-prep books or borrow them from you local library or high school guidance office. Using my practice materials, I began to tick off concepts I was familiar with in each section of the SAT, while at the same time taking note of what I was not familiar with or simply didn’t know (you know, the stuff that sounded like Pig Latin!). This review accomplishes two things: it can help you grow your confidence, as you see you are actually quite well versed with much the content, and it can help uncover what concepts you’re less familiar with, so you can begin focusing your exam preparation. You might also decide how much coaching you need to understand those unknown concepts. I feel that this strategy really made me aware of my potential weaknesses and strengths. I realized that I needed to focus more on math concepts, especially for the test section where calculators are not allowed. I also realized the SAT essay followed a similar pattern to what I practiced in school, so instead of writing additional practice essays, I decided to dedicate more time to reviewing grammar rules for the Writing & Language section and practicing my comprehension skills for the Reading section. 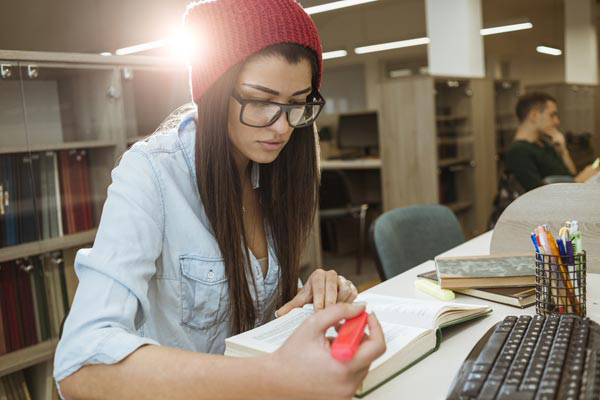 As you near your SAT test date, it becomes even more important plan your preparation in advance and divide the workload in stages—lest you find yourself spending many a late night full of caffeine and sporting bloodshot eyes. I recommend starting with dedicating at least an hour a day to test prep and then increasing the duration steadily you get closer to the exam. Remember that the initial stages of preparing for the SAT are quite important, as you are building the foundation for your test prep regimen. Make your time and effort count so you can feel confident later on. Your dedication will lead you to great things in those crucial three hours and 50 minutes on test day. How are you preparing for the ACT, SAT, and other standardized college admission tests? We want to know your story too! Leave a comment or get in touch here.